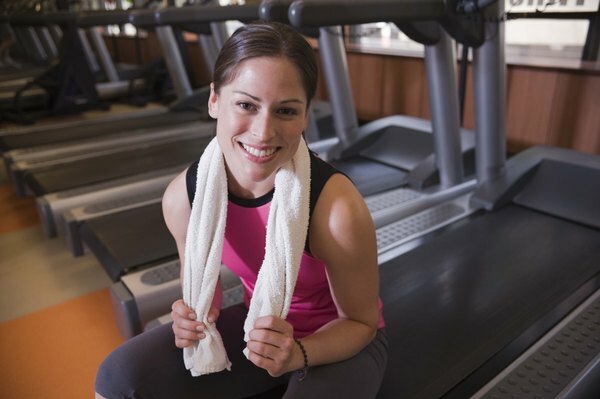 Make sure you know what you are doing before you fire up the treadmill. 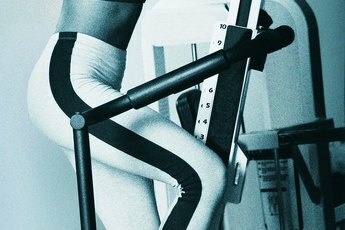 You work out on gym equipment to improve your body, so you might not think about the risks of using a treadmill or leg press machine before you hop on. But injury and illness can seriously derail your fitness progress, so educating yourself about the hidden dangers of using certain pieces of equipment is worth the time. Following protocol and checking for possible issues means nothing stops you from working on your fitness. You might want to impress that guy at the lat machine, but straining your muscles by lifting weights that are too heavy or adding too much resistance can cause tears, sprains and next-day soreness. Likewise, using the same machines over and over again or doing too many reps can lead to overuse injuries, like tendonitis. Know your limits and remember that a properly executed exercise with less weight is more effective and safer than a sloppy exercise done with more resistance. Anyone who's ever seen hilarious online videos of treadmill spills know that most of the time user error makes the equipment dangerous. Electronic equipment, like treadmills and elliptical machines, requires that you program the machine before you step on. Once you're on, use safety precautions, like removable keys, to stay safe. When you ignore precautions or use equipment without knowing proper technique, the equipment becomes seriously dangerous. Wondering how to use a particular machine or piece of equipment? Ask a worker for a demo before you put yourself at risk. Once in a while, equipment is dangerous at the fault of the manufacturer. Faulty equipment, like loose components, frayed cables and faulty electronics, can make a trip to the gym turn grim, which is why you should always exercise at reputable fitness centers and give each machine you use a once-over before usage. Look for frayed cables, ensure that the equipment is stable and zero out all the electronic components before programming your preferences. We all know gyms are veritable breeding grounds for germs. Think about it: all of those people sweating and sharing equipment is enough to make anyone a total germaphobe. Even your own equipment can become unsanitary after several uses. Antibacterial spray or wipes should be part of your routine, using them both before and after you use a piece of equipment. This can stave off sickness and infection. Is It Okay to Use a Rowing Machine Every Day? 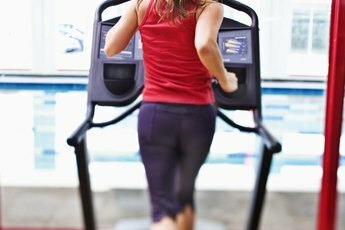 What Are the Dangers of Elliptical Machines?